I just got this great 100% unrefined African shea butter. I love this stuff. You can use it for so many different things. When you get it, it’s a big block of natural African shea butter which you can scrap some off. It comes with a bottle of natural oils (I got lavender) so you can mix it in and make is smell good. You can use shea butter on dry skin, hair, elbows, knees, burns, hives, rashes, minor cuts, bruises, sunburns, and so much more. It has some great healing properties that you can use to improve your health and skin. We use it on everything. I keep this in the bath room and mix it into lotions, shampoos, or sometimes just use straight shea butter on the skin or if we have any ailments. It works great and we love it. My grandmother has always told me to use shea butter on cuts, burns, etc. I always have and it helps a lot. Shea butter is an off-white or yellow colored fat extracted from the nut of the African Shea tree. 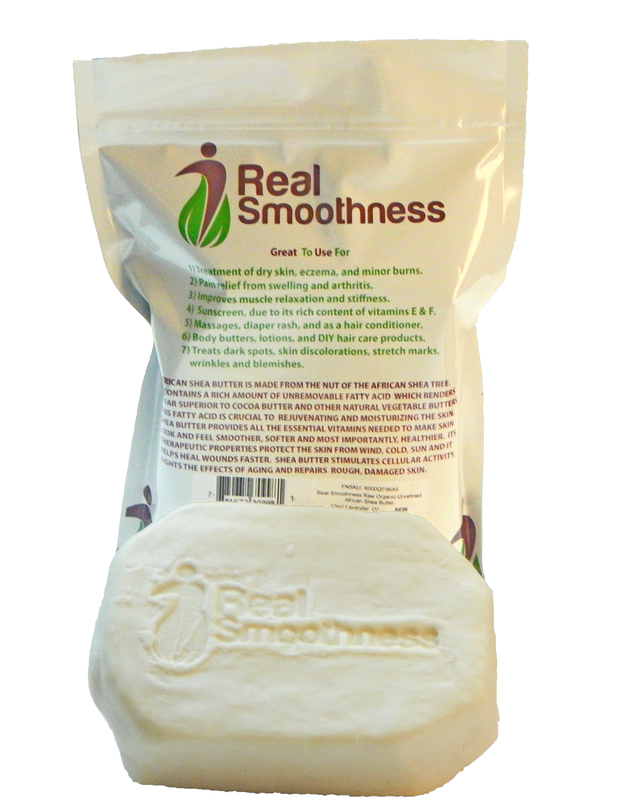 Unrefined shea butter is extracted and prepared without the use of chemicals or preservative. It maintains its nutty scent, beige color and its healing properties. It is rich in vitamins A, E & F and can help improve a number of skin conditions including blemishes, wrinkles, eczema and dermatitis. Due to its high content in anti-inflammatory components, shea butter helps the healing of skin disorders and problems like eczema, psoriasis, rash, hives, insect bites, skin cracks, burns and minor cuts. The concentration of natural vitamins and fatty acids in shea butter makes it nourishing and moisturizing for skin. It is especially excellent for baby care because it is a natural moisturizer fee of chemicals. And works well on the delicate and sensitive skin of babies assisting with baby rash. Shea butter provides moisturize to dry and damaged hair helping leave it healthy and shiny. Due to it being rich in Vitamin A,E & F, it helps sooth dryness, repairs breakage and mends split ends. It absorbs quickly into the scalp helping heal a variety of scalp problems. Shea butter protects hair from damaged caused by wind, humidity and extreme dryness. And If you expose your hair to chemical treatments, hot irons and dryers, shea butter can restore its moisture and vitality. You can purchase this shea butter on Amazon!